"My recent drawings have put focus on creating difficult, intricate, broken narratives created in layers of archival ink, connected to a simple image, producing a frenetic conversation between the work and the viewer. This idea of making a dysfunctional, or “informal” geometric abstraction has become a welcomed obsession that initiates a myriad of emotions with each session of mark making. Layers of complex characters (marks in a specific color) overlay each other, forming questions rather than answers. These drawings take weeks, sometimes months to complete. That sentence has stayed with me since he said it. It may have been the delivery, mixed with the poetry of the words, but I know this quote pertains to my work and my thinking about my work as these pieces evolve." Spencer Dormitzer attended The School of the Art Institute of Chicago in 1986 and has been a working Artist for over 25 years. Spencer has also worked as Studio Manager for New York Abstractionist David Reed and as an Executive Producer for The New York Cosmos. Spencer has had over 75 solo and group shows in the greater Washington DC area, Chicago Illinois, Antwerp Belgium, Santa Fe New Mexico, New York City. He also belongs in over 100 private and museum collections. 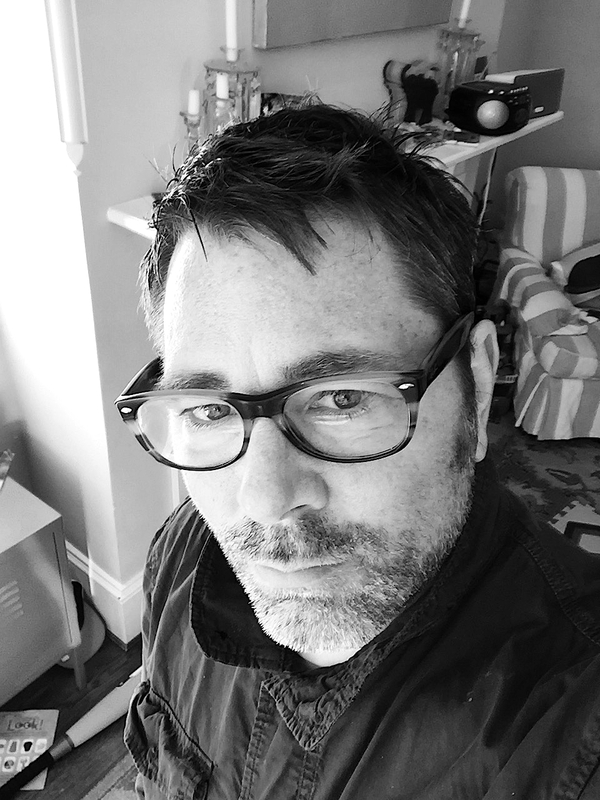 Spencer's work has been featured in the Washington Post, New City Art, New Art Examiner, Chicago Tribune, Philadelphia Enquirer and the Chicago Reader. Currently, Spencer Dormitzer has just concluded his tenure as Director of Joan Hisaoka Healing Arts Gallery in Washington DC after 3 years of service, where he managed or curated over 15 exhibitions. Spencer lives in Capitol Hill, Washington DC with his wife and 2 amazing, but exhausting sons.